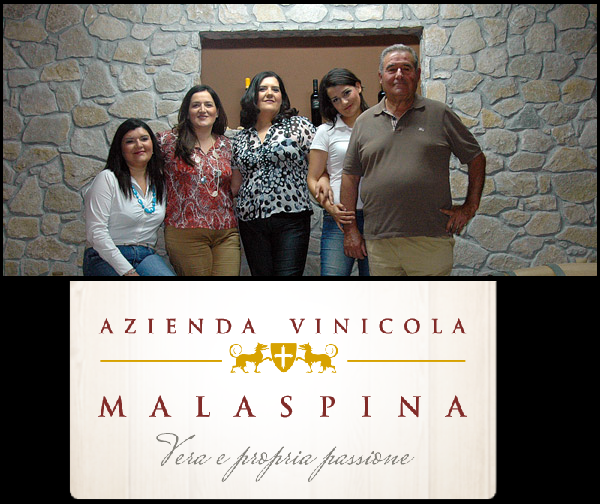 The Malaspina winery was founded in 1967, when Consolato Malaspina decided to devote his life to his passion for the world of wine. Since then he has dedicated himself to using the resource of a land greatly suited to the production of wines. To his merit, he has also been able to transmit his love of working the land, and making the traditional wines of Calabira, to his four daughters, Domenica, Caterina, Irene and Patrizia. 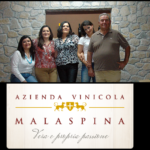 Azienda Vinicola Malaspina is located on the furthest tip of Calabria, a proud, wild and fascinating region that continues to amaze with its constant changes. Calabria is a region of a thousand faces, its hills, shades of green in deep winter and yellow in the summer, descend to the sea happily providing its scents and flavors. It is in precisely this context that the vineyards and olive groves of Malaspina are located. The hills on which the vineyards are located are near the sea but the altitude of 700 meters gives rise to excellent climactic conditions which favor the production of remarkable quality. Vineyards that produce the Nerello Cappuccio, Castiglione and Calabrese Nero are situated in the town of Palizzi, near the districts of Dareri, Catania and Stavro’, where they are cultivated using the Alberello and Espalier methods, with a planting density of 6000 plants per hectare. Noises of the so called “civilized” or modern world do not penetrate and the surrounding landscape is beautiful and wild. The rugged hills are like high terraces overlooking the sea. The rest of the Malaspina wines come from grapes that come from expert grape growers of the region, with whom there is an established relationship of trust and cooperation.